The OnePlus 6T is coming soon and not much about it is still a mystery. 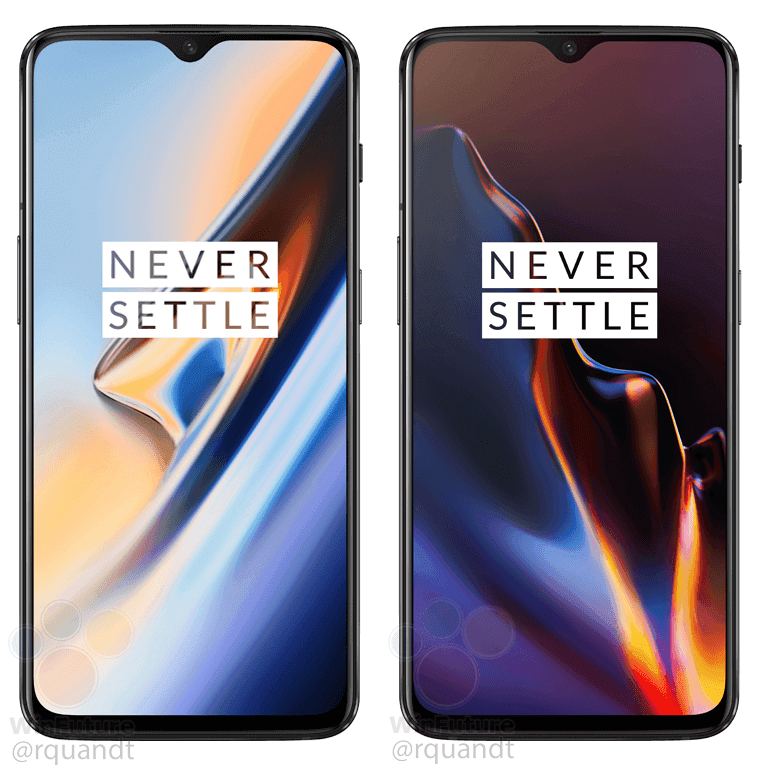 It all started with the news that T-Mobile will have exclusive carrier availability, and since then OnePlus has confirmed the presence of an in-display fingerprint scanner, the lack of a headphone jack, and new Type-C Bullets headphones. We previously saw the top half of the device and a full-body 3D render. Today, we’re looking at leaked marketing renders, courtesy of WinFuture. These new renders don’t reveal anything we haven’t already seen. The 6.4-inch display has a waterdrop-style notch at the top. There is no fingerprint scanner underneath the rear dual cameras, confirming the in-display fingerprint scanner. The one interesting tidbit is the two shade of black that will be available. We can see the matte “Midnight Black” on the left and the glossy “Mirror Black” on the right. To recap the rumored specs, that 6.4-inch display is expected to be OLED and Full HD+. It will be powered by the Qualcomm Snapdragon 845 SoC, 6/8GB of RAM, 64/128/256GB of storage, and possibly a 3,700 mAh battery, according to WinFuture. The dual cameras are 16 & 20 MP and the device should be running Android Pie at launch. 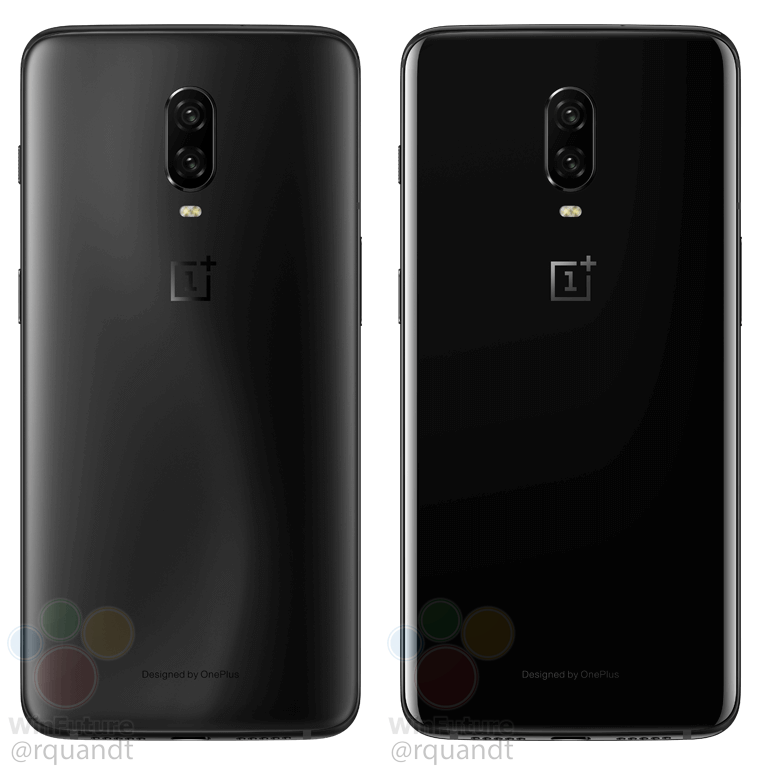 The rumored price of the OnePlus 6T is around $550 and it should be announced later this month. What else do we need to know?